Passport. The passport of the Republic of Uganda has been placed in position 76 worldwide. (EASTAFRICAN PHOTO). 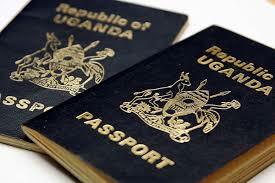 Uganda’s passport has been ranked the 76th most powerful in the world, latest research findings show. The ranking placed Japan on the top, with the Japanese citizens able to travel to a record 190 countries without visas. Citizens of this East African country can travel to 64 destinations visa-free. Kenya was in position 72 with 71 destination visa-free access. Tanzania was 73rd with free access to 68 countries; South Sudan 97th with 41 visa-free destinations; Rwanda was ranked 84th with free access to 54 destinations. Burundi was 92nd with free access to 46 countries. Kenya was ahead of its peers in the region. The US and the UK continue to drop down the Henley Passport Index based on authoritative data from International Air Transport Association (IATA). The two giants now sit in joint 6th place, with access to 185 destinations. This is a significant fall from the 1st place position that these countries held in 2015. “As the world economy has become increasingly globalised, the need for greater visa-free access has grown steadily,” said the report release in January in partnership with IATA. The 2019 ranking places Asian countries in best positions. Japan was number one with free access to 190 destinations. Singapore and South Korea were place in second position with 189 visa-free destinations. Countries linked to terror networks like Pakistan, Somalia, Syria, Afghanistan and Iraq were at the bottom of the ranking, with their citizens requiring visas to access the majority of countries.